Lomatium is a tall-growing member of the carrot family that produces large, fern-like leaves. Because the plant is specific to the American west, it is sometimes referred to as desert parsley. Lomatium earned the additional common names of Indian Carrot and Biscuit Root because Native Americans cooked the starchy root as a vegetable or ground the dried root into flour. 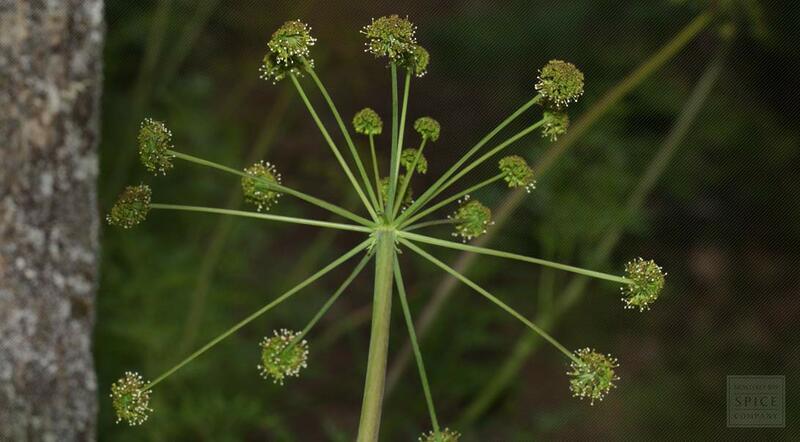 In terms of chemical composition, Lomatium root is not only a good source of carbohydrates, but also contains protein, vitamin C, fatty acids and coumarin derivatives. Lomatium root is usually used to make tinctures, sometimes in combination with elderberry. Lomatium dissectum is native to much of western North America and is found in the eastern Transverse Ranges and the Sierra Nevada in California. Lomatium dissectum is a species of flowering plant in the Apiaceae family. It is a perennial herb reaching up to 1.4 m tall and grows from a thick taproot. Lomatium leaves are attached mostly near the base of the plant, and they spread with petioles reaching up to 30 cm long with large blades divided into many small, narrow segments. The inflorescence (complete flower head of a plant) is an umbel of many small yellow or reddish flowers with each cluster forming on a ray up to 10 cm long. The fruits of the lomatium plant resemble pumpkin seeds. The name dissectum is in reference to the plant's finely divided or dissected leaves. The common names that include “carrot” are due to the lomatium’s long tap root and its similarity to the carrot root vegetable. Grows on rocky slopes and dry meadows in sunny, semi-arid locations. This plant requires a dry to moist but well-drained soil. Seeds should be sown in a cold frame as soon as rope since stored seed might be rather slow to germinate. Additionally, when sown in the spring it usually takes at least 12 months to germinate. Giving it a period of cold stratification might reduce this time. Once seedlings do emerge they need to be transplanted into individual pots as soon as they are large enough to handle, and then in the summer should be planted out into their permanent locations. Fresh seed can be sown immediately in the outdoor garden soil. Division may be possible in spring or autumn. Lomatium may require 20 years of growth (or more) to reach a sufficient harvest size. In order to allow for continued supply, harvesters will only collect one for every twenty plants in a site with normal distribution of Lomatium dissectum roots. After harvesting, Lomatium dissectum roots are dried as cut pieces. Store cut lomatium root pieces in an airtight container in a cool, dry place.